So you have found yourself under pressure to implement inquiry-based learning, project-based learning or something like that. How do you respond? I tend to see things through the lens of cognitive load theory (CLT). A key finding is that learning new, complex concepts like algebra or writing is likely to overload working memory (but not learning very simple things like lists of words). Guided instruction reduces the load, and fully guided, explicit instruction is better still. However, despite a few abortive attempts, cognitive load theory does not incorporate a theory of motivation. And another important finding is the ‘expertise reversal effect’ where, once sufficient expertise has been developed, experiments show that problem solving is better than explicit instruction. This may be because, at this stage, it adds to episodic knowledge – ‘ah, I’ve seen something like this before!’ It probably also aids transfer by cycling students through different kinds of problems and so helping them to apprehend the deep structure. So my ideal sequence, the one I use in my own teaching, is explicit instruction that gradually fades to individual or perhaps group problem solving. The final few weeks of a Year 12 course involve me in very little teaching because students work independently, calling on my input only for clarification or when they get stuck. However, explicit instruction followed by inquiry or project-based learning in the same domain could achieve much the same result and might have an additional benefit in terms of motivation (I say ‘might’ because I am not convinced by this). This is important. If we examine, for instance, Expeditionary Learning schools in the U.S., my understanding is that they have roughly 8 week units, the last third of which is an inquiry or project. If I was under a lot of pressure to use inquiry then this is the model I would try to adopt. To be honest, I’d struggle to do this in maths but I can imagine it working well in history or science. If the decision has not yet been made and you are still able to influence the discussion then I would reach for some good papers and send these around to the parties involved. You can’t really go past American Educator for this kind of stuff. Teachers seem to find the articles readable and yet they are well-referenced and substantive. They complement each other well. Clark et. al. 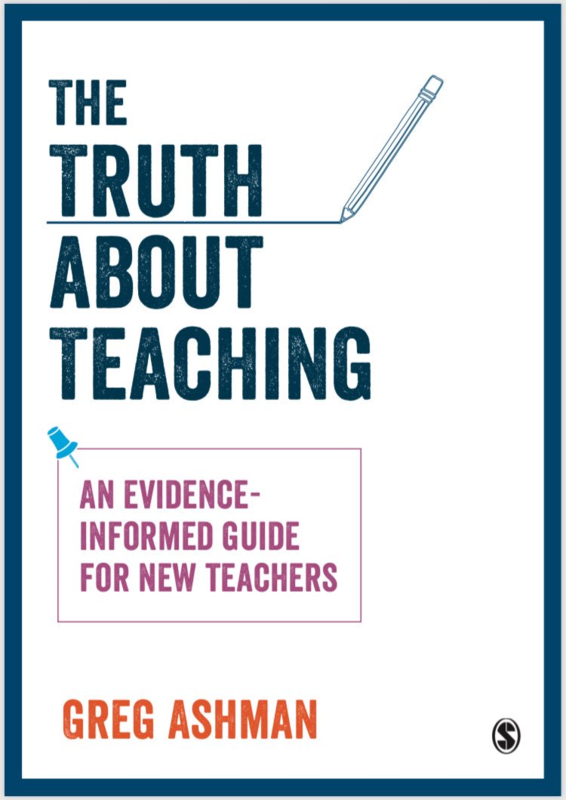 mainly rely on cognitive science and specifically CLT, whereas Rosenshine takes a broader view and draws more on the teacher effectiveness research of the 1960s (which is mostly correlational). It’s actually this kind of triangulation that convinces me of the case for explicit instruction and so it is worth highlighting. I mention the review rather than the findings of the RCT itself because these were compromised due to so many schools dropping out of the Project-Based Learning condition; which also tells us something. Inquiry Learning in maths tends to be synonymous with problem-based learning so I would probably return to cognitive science (this is why I can’t see it working at the end of a Unit but I don’t have time to expand on that here). There is an interesting correlation between the decline of maths performance in Canada and a move to more inquiry-based curricula but I’m not sure I could point to much apart from op-eds, although the Howe Institute report is very interesting. Interestingly, PISA 2013 found a negative correlation in all participating countries between a ‘student-orientation’ and maths results, with the construct roughly mapping onto some forms of inquiry. Even more strikingly, PISA 2015 found a negative association between increased use of ‘enquiry’ methods in science class and science performance. However, the OECD don’t seem keen to publicise these findings and so, sadly, the best sources tend to be blogs such as mine or this one (note that this piece was written about PISA 2010 and never mentioned these findings, even though they are the strongest correlation, focusing instead on a memorisation which the data suggests doesn’t correlate with anything). Unfortunately, its very technical. I don’t really have a ‘go to’ article on creativity but the same principle applies (and I would be keen for links to any in the comments). The case of generic skills is partly why I have moved away from thinking about the reality of content and teaching methods as independent of each other, whether or not they are in principle. Let me know if you encounter and argument that isn’t covered here. Hier een mooi, toegankelijk stuk van Greg Asman met verwijzingen naar veel artikele / bronnen. De moeite van het lezen waard. I first came across it in Daisy Christodoulou’s Seven Myths of Education, I think. To my shame, I’ve not read it. Thanks! One area where project type learning could be used in maths is in a project that uses quantitative probabilisitc decision making; there are various techniques that would test statistical understanding, computational skills (and more so as the advanced version could use matrix algebra and calculus). unfortunately this would be for students that would have a firm grasp of their mathematical facts…most pbl takes place at the primary level, where kids are novice learners and sadly do not get a chance to master their facts through this type of learning. David. How do you mark such a thing? The teacher would have to have a very wide knowledge or, more likely, have to do an awful lot of study themselves in order to mark it. And the marks would be subjective. Students hate that, because they consider the marks should be appropriate to the effort. And they may have worked really hard to do something quite poor. If we don’t mark it, assuming we are doing it for learning’s sake, then students who cotton on to this won’t put in the required effort. Firstly because it is human nature not to work hard at things that don’t count, and secondly because most of the students I have that might be able to do such a project have other commitments that will inevitably take precedence — because they are marked. If your employer gave you a big assignment with no utility, but they thought was good for you in a very general sense, how much work would you put into it? We actually had that scenario at work recently. We were all told that we should do a personal IT project because it would be good for our development as teachers. The efforts were half-hearted, at best. Even to make informed comments on such a project would be giving the teacher as much work as the students. Multiply that time by however many such projects. I’m going to be generous here and assume they wouldn’t plagiarise. If it were me, I’d find something very similar online and do a near repeat. Maths is easy like that. It extols the virtues of project based learning for developing 21st century skills. However, it also cites authors claiming “At its worst, PBL can be perceived by both teachers and students as an inefficient use of time”. effectively work in groups and draw on everyone’s talents in a collaborative way. Even if a teacher found the time and money for this it would leave them a novice, no more ready to teach about project management than someone who has just completed high school math is ready to teach a class of 20 to 30 high school calculus. Given the downsides documented in the Ontario government’s research the risk would be too great. Student’s time is too valuable to risk without the full time in class assistance by someone with a several years post high school project management training or experience. PBL cannot be both so necessary to teach and possible to learn how to teach by reading a book or webpage. “Small group and independent problems and projects can be effective — not as vehicles for making discoveries, but as a means of practicing recently learned content and skills.” (Clark et al. at your first reference). So there is a place for inquiry, BUT students must learn the fundamental content and skills of a topic first. Inquiry can build synaptic linkages (“wiring”) between the neurons that store knowledge in memory only after the knowledge is in memory Those linkages are the physiological basis for conceptual understanding. It would appear, after much unpleasantness all round, that you actually hold the same views as the rest of us Greg. “To be honest, I’d struggle to do this in maths” is a statement I would wholeheartedly agree with, and in general Inquiry Learning is probably one of the least efficient and effective mays of teaching/learning maths. I use inquiry learning everyday in Middle and High School Humanities classes, during which I interject and engage in whole class explicit teaching several times a lesson at least. In the good old days there were plenty of discussions around the narrow scope of CLT and I am glad that you acknowledge such here. I thought this to be a balanced post and I will follow a couple of the links that I had not seen before. In my experience, inquiry learning with a clear statement of inquiry can also provide the basic knowledge required to develop more complex lines on inquiry. I agree however that often it is more efficient for the teacher to engage students in explicit instruction. When learners are able to act as autodidacts then can and do complete all stages of the inquiry process with implicit teacher intervention. As life long learners we all here have developed such an ability. There doesn’t seem to be a good understanding of what inquiry learning truly can be. It sounds like most think it’s about letting the student do whatever they want or giving them a question to research. Inquiry learning is truly neither of these approaches. The challenge seems to be when schools take inquiry techniques and inject them into traditional structures like school time tables, subject based curriculum, and marking produced artifacts (instead of the learning). the structures will look very different. But without these newly designed structures inquiry won’t work as well for the teacher and the student outcomes are less effective. Let’s at least compare oranges with oranges. Or realize that you’re eating a pear and not an apple.